Disasters can hit the global chain at anytime and from anywhere. 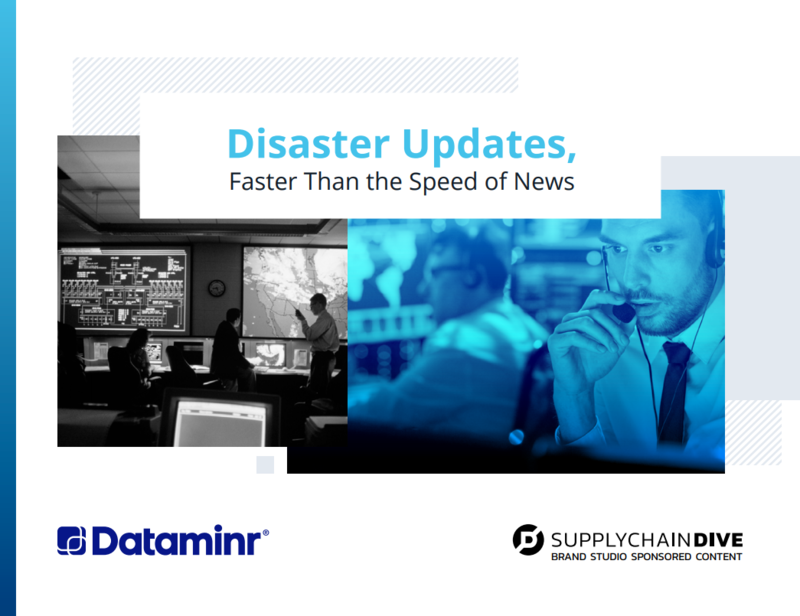 While these unfortunate events are often unavoidable, what supply chains can control is how they respond when these disruptions strike. This playbook explores how new technology platforms can create real-time, actionable news alerts from public social media activity. We look at real-life examples—an earthquake in Mexico City, a terrorist attack in Brussels and a hurricane in Puerto Rico—where social media made a notable, and life-saving difference.